Politicians of all stripes in Quebec are welcoming TransCanada's decision to terminate the Energy East pipeline project, where opposition to the proposal was fervent and widespread. 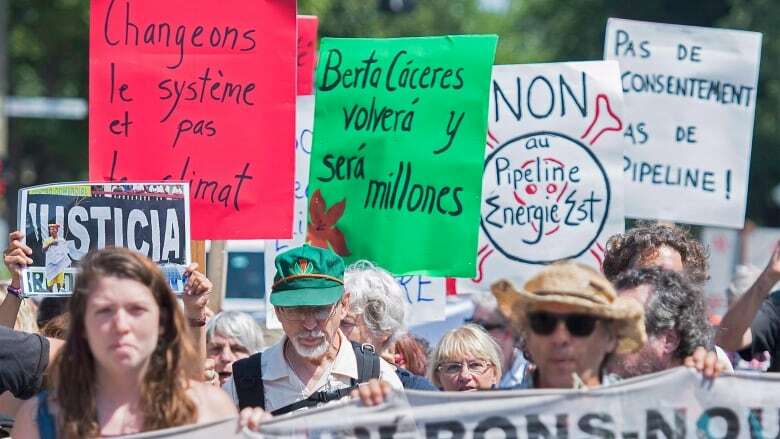 Politicians and environmentalists of all stripes in Quebec are welcoming TransCanada's decision to terminate the Energy East pipeline project, where opposition to the proposal was fervent and widespread. 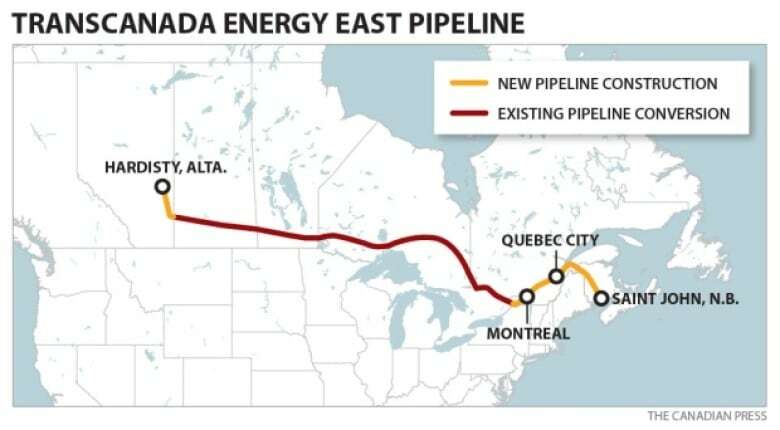 The pipeline would have carried 1.1 million barrels of crude oil a day from Alberta and Saskatchewan to New Brunswick, passing through Montreal, along the St. Lawrence River through Lévis, up to Cacouna before veering east. The Calgary-based energy company announced Thursday it won't go ahead with the plan. 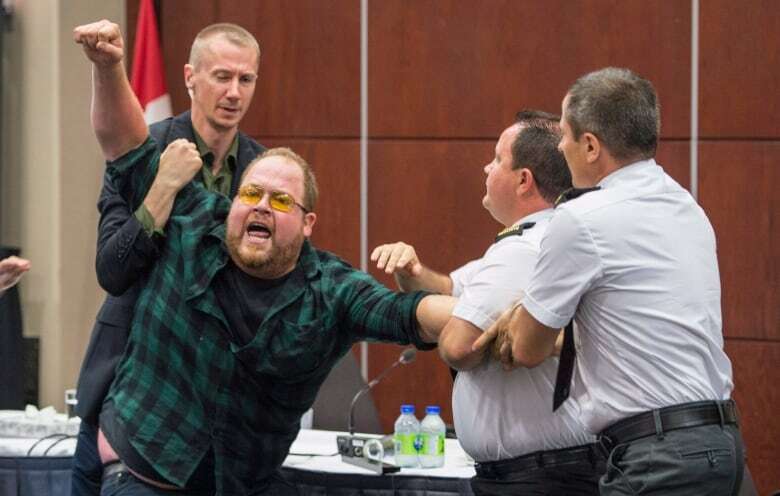 The project was not popular in Quebec, where protesters notably crashed National Energy Board hearings into the proposal, leading to the cancellation of those hearings in August of last year. In a tweet, Montreal Mayor Denis Coderre said he was "proud" that the project is being dropped, saying he, other Montreal-area mayors and citizens' groups played a key role in getting it cancelled. His comments have spurred a flurry of criticism from other Canadian politicians and mayors. Coderre has said he believes the pipeline represents significant environmental threats and too few economic benefits for greater Montreal. In Saint-Augustin-de-Desmaures, a municipality about 25 kilometres west of Quebec City along the St. Lawrence River, where the pipeline was supposed to pass through, the mayor said the announcement was excellent. "Any kind of spill, leak or anything could have had catastrophic consequences here," Sylvain Juneau told Radio-Canada. "And we were always firmly against this." Natural Resources Minister Pierre Arcand said he is not surprised by the company's decision, considering it had suspended the process a month ago. Environment Minister David Heurtel detailed his frustrations with TransCanada, saying the project had left Quebecers with an "enormous amount of questions" but the province was repeatedly left without answers. "TransCanada made the decision that it felt it had to make," he said. Parti Québécois Leader Jean-François Lisée said he considers the decision to be "a great victory," adding that his party never wanted the project to pass. Québec Solidaire MNA Gabriel Nadeau-Dubois also rejoiced. The former student activist had donated his winnings for his Governor General's Literary Award to a group fighting against the pipeline and said it was the best $25,000 he ever invested. Hailing it as a step forward in embracing renewable energy, environmentalists in Quebec and Canada are also welcoming TransCanada's decision. "It's Quebec that stopped this project," said Anne-Céline Guyon, a spokesperson for environmental organization STOP oléoduc. The announcement also sends a strong message to other companies in the energy sector, according to Guyon. "It's an outdated industry," she said. "We have to move toward renewable energy." 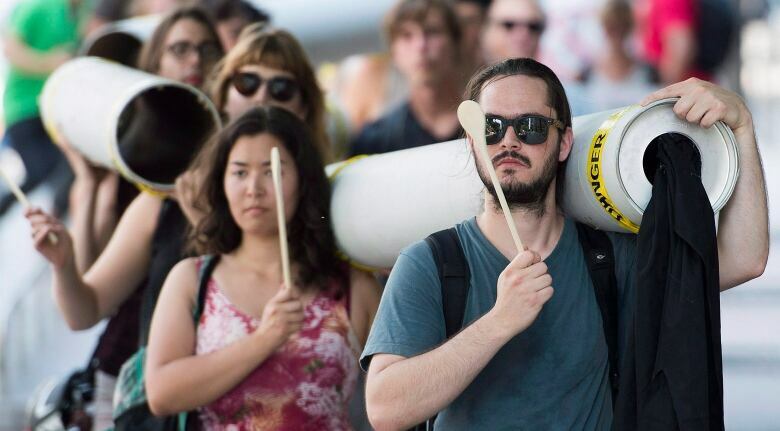 Greenpeace Canada spokesperson Patrick Bonin called the decision "excellent," saying TransCanada pulling the plug on Energy East proves that citizen mobilization works. Serge Otis Simon, grand chief of the Kanesatake Mohawk Council, reacted to the announcement with "shock, surprise [and] jubilation." But he's still feeling cautious. Simon said he believes his allies out west fighting "tooth and nail" against the project, coupled with the united front in Quebec, made investors think twice before contributing their money. But with the Kinder Morgan and Keystone XL projects still scheduled to move ahead, he said the fight isn't over. 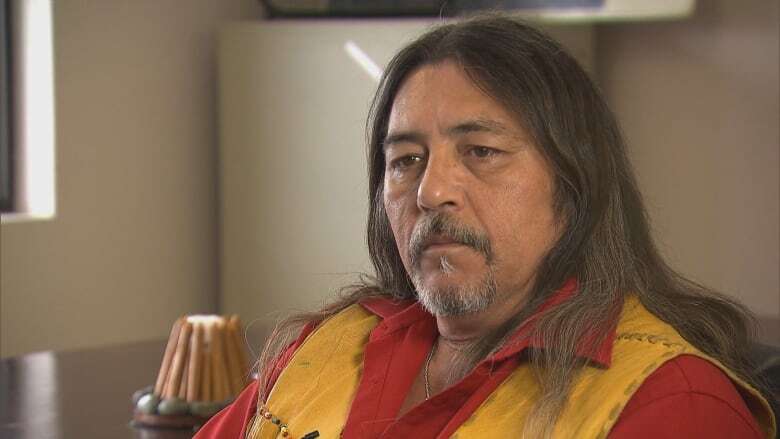 "The cancelling of the Energy East pipeline may have bought First Nations, and humanity, a little more time, but there's still a lot to do," he said. In September, TransCanada was granted a 30-day suspension of its application so it could re-evaluate the viability of the pipeline. The suspension came after the regulator, the National Energy Board, expanded its planned review of the project, saying it will assess its indirect contributions to upstream and downstream greenhouse gas emissions.